MaskerAide is a Canadian-Korean brand founded by skincare-junkie Michelle Lee in 2012. As you know by our previous posts, or maybe you been visiting too, face-masks are extremely popular in Korea! While traveling between Canada and Korea, Michelle noticed that there are very few masks in the industry and she decided to come up with own solution and that’s how the idea of MaskerAide was born. 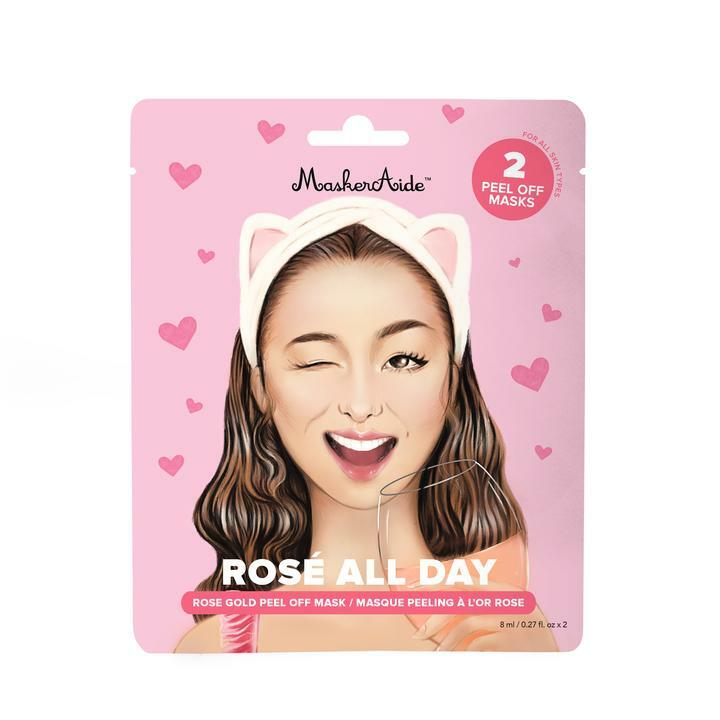 The MaskerAide products are based on the idea of being fun focused and being serious about the skincare – it is fun to take care of your skin with funny facemasks that do a serious job on your skin. For our test and review, we chose Pore Refining Rose Gold Peel Off Mask, Brightening Crystal Mini Masks, Detoxifying Blemish Patches, and Pore Cleansing Charcoal Bubble Mask. Pore Refining Rose Gold Peel Off Mask – is a skin refining mask with flakes of 24k rose gold. This mask boosts skin radiance and natural glow and refines the appearance of skin texture. It minimizes pores and clears out impurities. The package comes with two peel-off masks. Prior to use, prepare your skin by cleaning it with your usual routine, then open a package and squeeze product. Apply it to the skin avoiding around the eye area and leave for 15-20 minutes, then peel off and rinse. 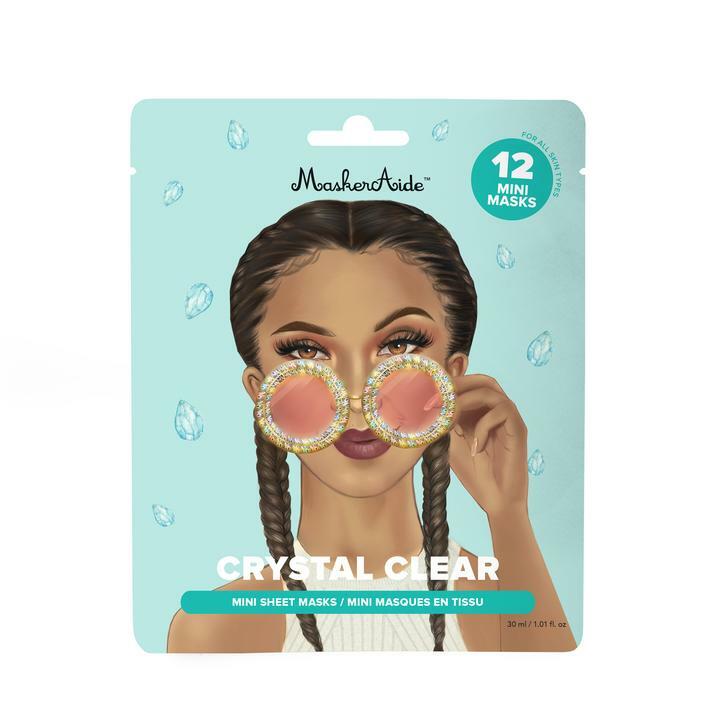 Brightening Crystal Mini Masks – is a brightening mask that helps to clean and clarify, soothe and hydrate dry patches and make skin glow. The mini masks have such powerful ingredients as pearl extract – to lighten dark spots, blemishes, and acne marks, alow leaf extract to help with the wrinkles, hyaluronic acid to hydrate and protect from UVB. Masks come as small patches that look like crystals! To use unfold the sheet and peel off a few masks and then apply to the desired areas. Detoxifying Blemish Patches – is special patches that take care of the blemishes and pimples. The patches help with the healing process of acne by absorbing oil, breaking down sebum and increasing cell turnover. Patches look like small circles of different sizes that cover, protect and let your skin imperfections heal and get back to normal. 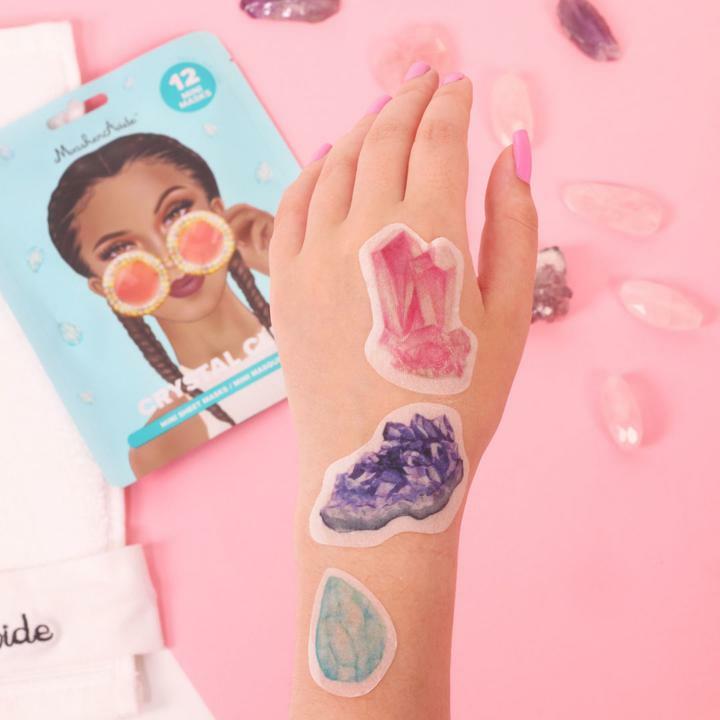 To use, simply apply the patch to the blemish or pimple, you can leave it overnight or wear up to 12 hours. Pore Cleansing Charcoal Bubble Mask – is a great solution to treat skin on your face. This mask pulls toxins and impurities from the skin with the help of charcoal. It helps to minimize and reduce pores, reduce sebum production and mattifies skin. Main ingredients are charcoal, spirulina, apple amino acids, tea tree, and seven sprout complex. 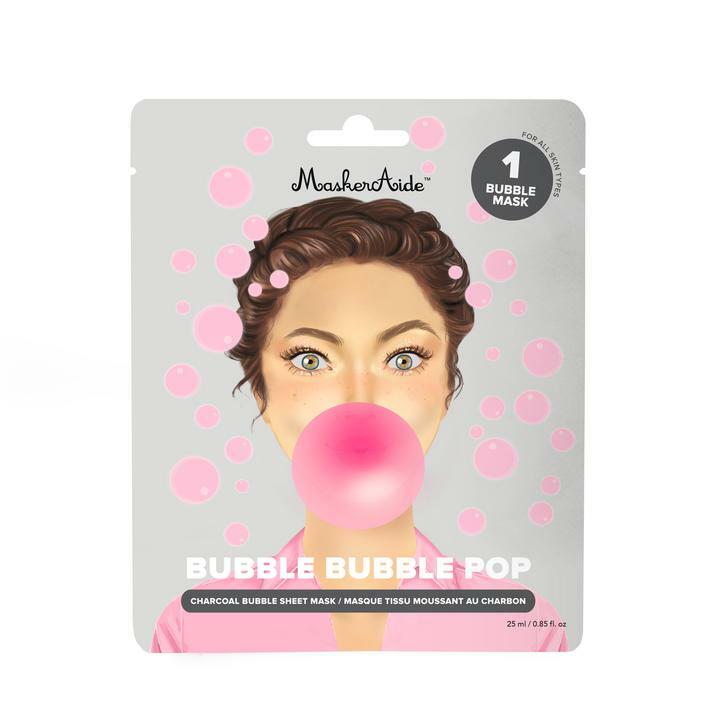 Clean and dry skin before applying the mask, to activate bubbles rub sachet for 10 seconds. Apply to the skin and leave for about 10 minutes, then massage excess bubbles with gentle moves into the skin and rinse off. Our expert reported that masks work really well and she especially noted charcoal mask and crystal patches -“They are amazing, fun an work really great. You can feel your skin getting better and it literally just takes 5-10 minutes. I like to use them as a part of my skincare routine”. 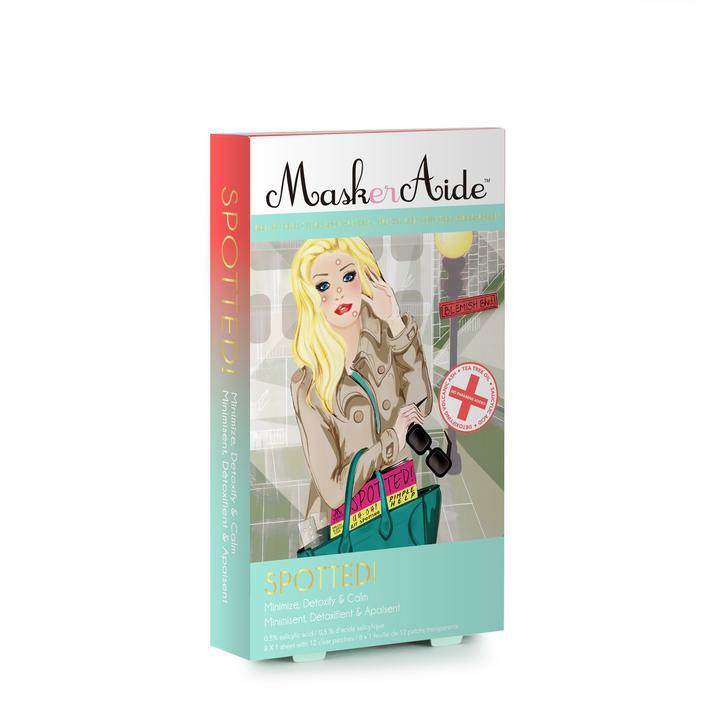 MaskerAide sheet masks is a truly fun way of a serious skin care routine for your face and we really enjoyed testing it.